The latest tuning package for the 2011 Mustang GT is an official one prepared by Ford in collaboration with the drift champion Vaughn Gittin Jr. and Classic Design Concepts. 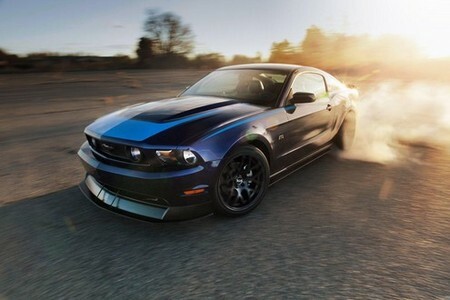 It’s called the RTR package, and as far as we can work out, it’s the coolest modified Mustang yet! The car features a new chin spoiler at front along with new grille and bonnet. You get matching side skirts as well which links the front spoiler to the rear diffuser, which itself hosts two integrated exhaust pipes. All these parts are finished in black, while the car can be had with different paint jobs. Ford also provides 19-inch wheels with Falken tires, and an engine upgrade package with new exhausts and air intake, plus modified suspension for the sake of better handling.